Kurdish-led forces in Syria may not be able to hold prisoners from the Islamic State of Iraq and the Levant (ISIL, also known as ISIS) if the situation in the region gets out of control, a senior Syrian-Kurdish official has said. Ilham Ahmed of the Kurdish-led Syrian Democratic Forces (SDF) warned that the Trump administration’s decision to withdraw all of its forces would have dangerous repercussions and a destabilising effect on the entire region. “Under the threat of the Turkish state, and with the possibility of Daesh [ISIL] reviving once again, I fear the situation will go out of control and we no longer be able to contain them,” Ahmed said at a news conference in Paris on Friday when asked if the SDF was considering releasing hundreds of ISIL detainees. On Thursday, the New York Times reported that the SDF had discussed releasing almost 3,200 local and foreign ISIL prisoners. Ahmed did not discuss whether the SDF were planning on releasing the fighters, but the Times, quoting a Western official from the United States-led coalition fighting in Syria, said that such discussions had taken place. The discussions came after Trump stunned fellow Republicans and Western allies on Wednesday when he posted a video on Twitter declaring victory over the armed group. The US president said he was fulfilling a promise from his 2016 election campaign, adding it was “time for others to finally fight”. “After historic victories against ISIL, it’s time to bring our great young people home,” he wrote. US officials have said many details had not yet been finalised, but they expect the country’s 2,000 forces to be out of Syria by mid-January. Western allies including France, Britain and Germany have criticised Trump’s assertion of victory as premature. “We do not share the analyses that the territorial caliphate [of ISIL] has been annihilated,” French Defence Minister Florence Parly told RTL radio on Friday. France has about 200 special forces personnel operating in Syria’s Kurdish areas and continues to carry out air strikes on ISIL-held areas. “It’s an extremely grave decision and we think … the job must be finished,” Parly said. The SDF are in the final stages of a campaign to recapture areas seized by ISIL. However, they face the threat of a military operation by Turkey, which considers the Kurdish fighters who spearhead the force to be a “terrorist” group. 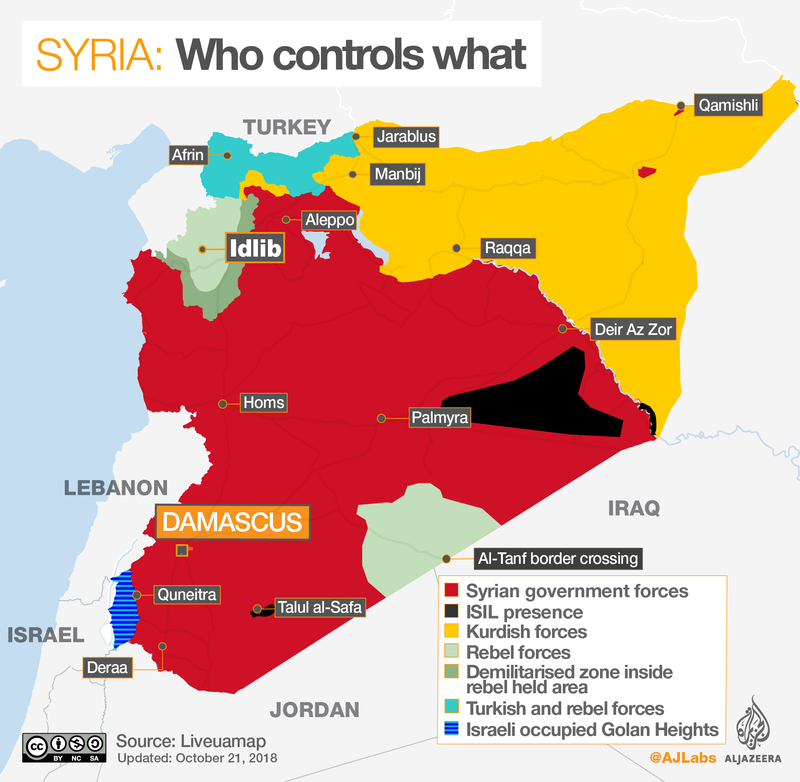 They are also under the risk of possible advances by the Syrian forces – backed by Russia and Iran – committed to restoring President Bashar al-Assad’s control over the country. ISIL declared a caliphate in 2014 after seizing large swaths of Syria and Iraq. The group established its de facto capital in the Syrian city of Raqqa.